Reducing family stress is imperative, especially at this time when facts and information seems to come faster and faster; there's much to assimilate and seemingly precious little time to do so. Sometimes the conflict and/or stress is exceedingly clear cut and simple; there's not enough money to go around. Perhaps you long for a family vacation, or are just having trouble finding the money to pay for simple luxuries, like going to the moves or eating out. The solution, while painful, is simple enough: cut out all excess. This can mean if you smoke, stop. If you enjoy a glass of wine at dinner, switch to water. These are not solutions that most want to hear, but it's the truth, and it will help you find a little extra money. Once you discover where you need to cut back, set a date for your "big" goal. Each month, contribute the money that you would have spent on these excesses to a family fund, and when the date finally arrives on which you can spend that money, get the family together and do so joyously! Conflict with a family member, whether recent, or some old grievance, almost always causes stress and tension, and if you happen to live with that person, things can become even more volatile. Immediate family: If you have conflict with an immediate family member, it's best to resolve it as quickly as possible. Sit down with the person you have conflict with, calmly express your point of view, have the person express his/hers, and meet somewhere in the middle. If you care about this person, and he/she cares about you, nine times out of ten, the two of you can hammer out a resolution that is palatable to the both of you. 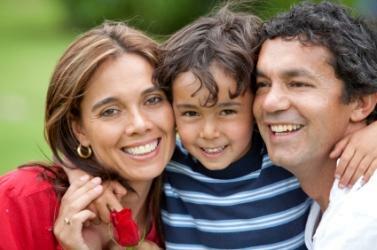 Extended family: Conflict with an extended family member has its advantages and disadvantages. On the one hand, you may not have to see him or her that often, so the stress has time to release itself. On the other hand, absence, and the lack of an opportunity to connect, can actually lead to long term grudges. Decide, once and for all, if you want this person in your life. If yes, set up a time to meet. If no, and if you are truly with peace with it, just let the conflict and the person go. If you are dealing with an individual who is belligerent or irrational, not much will be accomplished. Walk away and reschedule another time to meet. Avoid conflict when substance abuse is involved. If drugs and/or alcohol are involved, wait until those substances have been removed and everyone is clean and sober. Keep in mind that when someone is involved in substance abuse, his/her outlook and judgment is clouded, so whatever resolution you come to, more likely than not, will change once the person is sober. Accept the things you can't change. Piggybacking off of this sobriety theme, you'll also need to realize when you've hit an impasse. If the individual doesn't want to work with you, you must accept that and come to terms with it. While difficult to accept, this may actually turn out to be a blessing in disguise, so try to see the positive in it. Accept, really accept, that certain chores, must be done. Bills have to be paid, and folks need to go to work. Nothing, at least in the short term, can be done about this, so move through these chores as happily as possible. Set aside family time, but don't get hung up on the weekends. If the weekends work for you, that's fine. If not, then find another day. For example, if Wednesday nights and Sundays are your free days, then use those days to spend with your family. If setting an entire day (or days) to the side for family time is impossible, then do a little each day. This can be simple. Make cooking dinner a family affair and have everyone pitch in and help. During this time, talk about your day or leave the television on and discuss current events. Engaging with your family members, for even just an hour and a half every day, can lead to increased feelings of warmth and happiness that everyone in your family can appreciate. Reducing family stress is a necessity. Most of us spend a lot of time with our immediate family, and if given the opportunity, would love to spend more. Don't get bogged down in life's details. Instead, gather your family together, tell them your goals, and together, work to create a plan. Use a board, stickers, a calendar, or anything you have so that all of you can come up with plan that works for your family.